Gladstone Consulting is proud to announce the addition of Mr. Carey Miller and Mr. John Pugsley as Senior Consultants. These welcome additions expand the capacity of our firm to provide exceptional services and adds depth to its highly rated fundraising and Ontario Trillium Foundation consulting services. 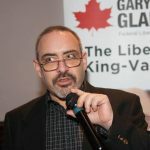 Gladstone Consulting is proud to announce the addition of Mr. John Pugsley, Program Manager for 17 years with the Ontario Trillium Foundation and Mr. Carey Miller, veteran of 28 years of senior corporate, non-profit and political engagements. John Pugsley’s career includes 17 years as Program Manager with the Ontario Trillium Foundation. In this role at the foundation he consulted with agencies and managed the implementation, monitoring and evaluation of regional grants. 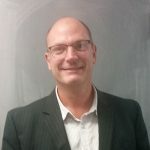 John brings over 27 years of experience in the non-profit sector working with a variety of Sports and Recreation, Arts and Culture, Human Service and Environmental Organizations. He has extensive experience in community and corporate engagement, public relations, financial management, governance, policy development, program development, facility management, event management and fundraising. Durham College Sport Management Program Advisory Council (member). John is currently the Chair of the Ontario Cycling Association. Carey Miller brings three decades of senior experience in client, campaign and project management, deploying services to some of the world’s largest clients, including Warner Bros, Thomson, Allstate, BNS, Rogers, INTACT and Manulife. He brings business acumen and Best Practices to charities, non-profits, political and business campaigns, identifying fundraising, organizational and partnership opportunities. Director of Fundraising for the Joyce Murray Leadership Campaign. Carey’s experience can improve your organization’s fundraising, technology usage, organizational improvement and relations with local, provincial and federal governments.